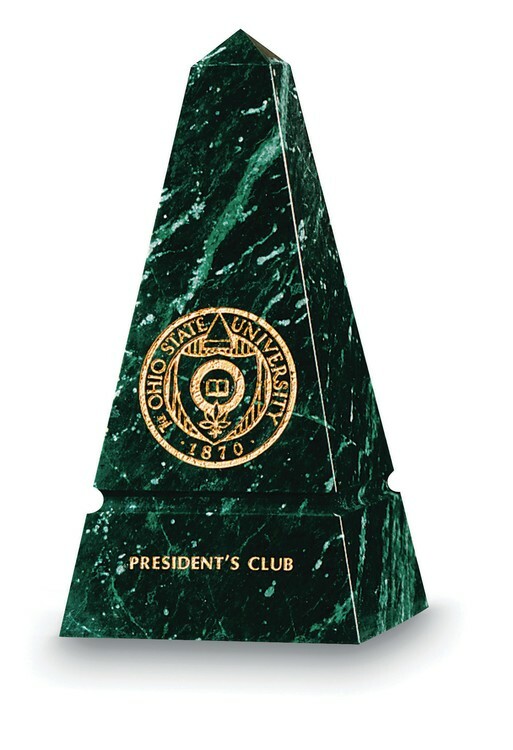 Inspired by the ancient Greeks this genuine Green Marble Obelisk Award copies the centuries old symbol for power and achievement. Also available in large and small sizes as well as the monumental Grande Obelisk. NO set-up charges, FREE Personalization, FREE Copy Change, FREE Monogram, FREE Color-fill and FREE Gift Boxes. IMPRINT: Deep Etched and color-filled in a 2.5"h x 1.75"w area on top and 1.25"w x 2.75"h on bottom area on one side.